This Bible Bonanza activity book is filled with kid-pleasing word games, puzzles, drawing activities, and more that will provide hours of fun. Scripture references are included for those who want to read more. The activities are designed for children (ages 8-10) to enjoy. Bible Bonanza Activity Book by Warner Press Kids was published by Warner Press in July 2016 and is our 2128th best seller. The ISBN for Bible Bonanza Activity Book is 9781593178734. 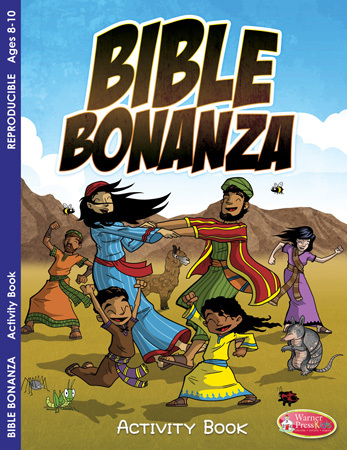 Be the first to review Bible Bonanza Activity Book! Got a question? No problem! Just click here to ask us about Bible Bonanza Activity Book.